Nowadays, not only fingernails but also toe nails are significant for women. Toe nail styles look very attractive as well as stylish as the way they look on the finger nails. They add more design to the feet. 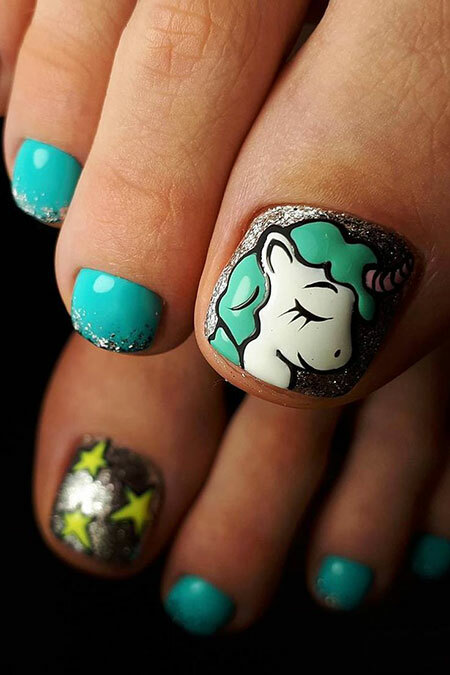 For those looking for a way to enhance the beauty of their toe nails, this article will help with some ideas of Cute Toe Nail Art. Ranging from easy and simple to pleasurable and lively toe nails, these designs will surely meet your demands. Choosing an ideal style for your toe nail may be difficult, but here are some wonderful ideas for you. Simple and elegant toe nail design has always been considered French manicure. You can also opt for various bright colors in every toe nail. 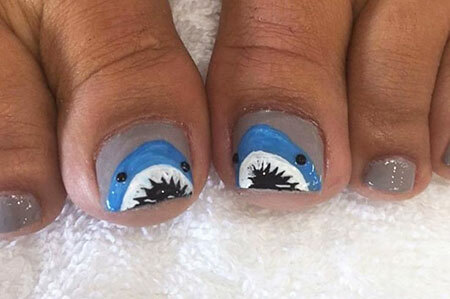 This style is one of the most attractive nail designs to show off at the beach. Having dark hot pink as the basis makes the white rising daisy glitter. Put the daisies on each to nail or simply style the big toes while using a solid pink on the others. Boho-chic summer toe nail is also a wonderful style. This style is not very complicated. Simply paint the big, middle and small toe nail with gold glitter nail polish. Then the other toes should be decorated with pure white alongside one or two gold lines. This style will make people admire you. Crystal-studded reverse French Pedi is not a bad idea as well. The rhinestones have grown to become an important aspect of toe nail art. They give many possibilities for forming a combination of styles. To make this style, wear a white base coat, after which you glue on the rhinestones. Now, look at the examples below and try them to feel fashionable.